Relocating to a new house is stressful enough without having to worry about the logistics of an entire move. So when it comes to the heavy-lifting (literally), leave it to the professionals — professional movers, that is. Experienced San Joaquin Hills, CA moving companies consist of expert movers and packers who can efficiently pack, move and assemble your San Joaquin Hills belongings to ensure that you get off to a good start in your new home! America will never stop moving! We understand how many questions come up when you plan your move. Where do I start? Where to order services? How to find a good company from hundreds that are listed? How to find inexpensive service? We got all the answers to all your questions. "Treat every move as though it were our own…" It is this basic philosophy that has set Orange Coast Movers apart in the ten years since it was established. Over the years, Orange Coast Movers has become synonymous with excellent customer service, quality of care, and most importantly, the most efficient relocation possible. It is the goal of Orange Coast Movers to provide 100% satisfaction to all its clients, and therefore a team approach is taken with every relocation, whether across the street, or across the country. From the first phone call to the last box off the truck, customer care is our number one priority. Your satisfaction is our success. We have built our reputation as Orange County most affordable moving company without sacrificing service. Our local Orange County movers are polite, fast and of course caring with your belongings. Please browse our website and find out why we are Orange County most Gentle, Reliable, and Strong movers and why we are the best California moving company for you! 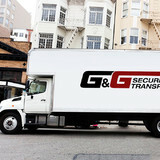 G&G Secure Transport is a family owned moving and storage company based in Los Angeles, CA. We are a Local & Long Distance Residential & Office moving company, with over 45 years of experience in the moving service industry. We also provide storage, packing, recycling & donating and specialty moves such as on-site moves (on premises), Piano moving, Art Handling, and Certified Aging in Place Assistance. Clean, professional, and affordable. Save money, save time, and save energy for a stress free experience. Forget about moving and LET US MAKE IT HAPPEN!!! 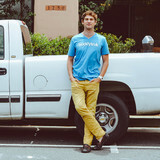 Buddytruk connects you with a "Buddy with a truck" for same-day, on-demand local moving and delivery. 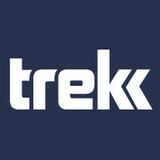 Trekk is a same day and planned delivery service for professionals and everyday people. We believe in delivering excellent customer service and provide a safe and efficient way for delivering and moving anything for our clients. Relocating has never been easier! Air 1 Moving specializes in local & long distance & international moves, packing & moving art pieces and pianos, as well as celebrity moves! We also offer storage services, moving insurance and packing supplies. Planning your move with us has never been easier. We do the hard work, so you don’t have to! Air 1 Moving & Storage is a licensed, bonded and insured company. That proudly services the following states: Alabama, Alaska, Arizona, Arkansas, California, Colorado, Connecticut, Delaware, Florida, Georgia, Hawaii, Idaho, Illinois, Indiana, Iowa, Kansas, Kentucky, Louisiana, Maine, Maryland, Massachusetts, Michigan, Minnesota, Mississippi, Missouri, Montana, Nebraska, Nevada, New Hampshire, New Jersey, New Mexico, New York, North Carolina, North Dakota, Ohio, Oklahoma, Oregon, Pennsylvania, Rhode Island, South Carolina, South Dakota, Tennessee, Texas, Utah, Vermont, Virginia, Washington, West Virginia, Wisconsin & Wyoming. 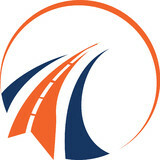 STATE TO STATE LOGISTICS IS A FAMILY OWNED BUSINESS THAT SERVICES THE ENTIRE NATION. WE ORIGINATE PICK-UPS IN ARIZONA, NEVADA, AND CALIFORNIA. We deliver to all 48 continental States. We specialize in moves that generate in our own back yard. Our team of experts with over 12 years of experience will walk you through the stresses of moving from beginning to end. Please give us the opportunity to impress you! Our goal is to make each and every move as smooth as possible. Please ask your representative to describe our current special offers at the time of your call! Every employee, from the owners to helpers of the company – strives to provide quality service to every customer. By providing moving services at the highest level, we highlight a few basic principles of our work: professional approach, good planning of each move, a detailed consultation with customers, adequate prices for moving services. We are moving company in Los Angeles. We are professional movers. We hire only professional movers, train them to bring them to our high moving standarts. Moving process is a very stressful process, especially when you try to move without a help from professional movers. Here at Universal moving System we care about your goods. Trek Movers is based in Los Angeles, CA. We are a local moving company and are offering our services within Los Angeles for last few years. As a company, we believe in providing quality moving services to our customers and through our quality services we have managed to establish our name in the market as one of the best moving services providers. With Trek Movers you will only get quality services. From the day one till the last day we maintain the quality of our services. Even our most demanding customers agree that we are the best when it comes to quality Moving Services. We have a team of professional movers who take pride in offering the best moving services at affordable rates. We are movers, not shakers and take the best care of your belongings as if they are ours. Unlike other Moving Companies in Los Angeles, we believe in offering quality moving services at affordable rates. Our billing system is transparent and fair. We all know summers in Los Angeles can be cruel, and if you are moving in summers, then it can even kill you. Well, you do not have to worry or take any tension about moving anymore. Because Trek Movers Los Angeles is there to handle your moving process while you sit and relax. We are a local moving company born out of the idea to do better. Most moving companies offer cheap rates and provide a cheap service with little to no concern for your personal goods. We provide a professional service, at an affordable rate. RL Relocation is fully licensed and insured, for both local and long-distance moves. At Safe N' Fast Movers, we are focused on providing a full range of home or office moving and packing services with the highest level of customer satisfaction and we do everything we can to meet your expectations. Our goal is to provide you with competitive pricing, excellent on-time service and stress-free customized moving experience. We are confident you will be happy working with us. Our movers work fast and diligently to get the job done at an affordable rate, so our customers can enjoy the savings. Whether you plan to move to Orange County, Los Angeles, Riverside, San Diego or long distance you will not find a more affordable, prompt and reliable moving company in the state of California. Here at Safe N' Fast Movers you get affordable moving without the sacrifice in quality of work and good customer service. You’ve successfully navigated one of life’s most stressful events with uncommon calm. For over 25 years, we’ve earned the confidence of our clients courtesy of our more seasoned, holistic approach to moving coordination, as well as our more sophisticated approach to interior space planning projects. We coordinate all of the activities, the vendors, the projects and the timelines, so you can arrive at your new residence with no detail left untended. We label, bin, color code, re-fold, alphabetize and organize everything. For us, arriving home means more than finding your boxes have been unpacked, the cardboard ready for recycling. With Orgodomo™ at your service, arriving home means your new, more streamlined and stress-free life is ready to begin on Day One. Of course, it is the company’s policy to offer you as much or as little support as you may require. While many clients understandably choose complete, turnkey transitions, walking into their newly organized and ready-to-live-in home, the company also enjoys a reputation for being highly accommodating with smaller, custom service requests. Moving is really so much more significant than the simple shifting of contents; it’s an opportunity to transport yourself to a new way of being at home in the world. That’s why Orgodomo™ homes are designed to deliver effortless elegance, so that when you arrive home, your home arrives to meet your needs. Our focus on your end game enables the team to successfully coordinate relocations and household organization projects that don’t get bogged down with the residence you’re leaving and the contents you’re moving. At Orgodomo®, there is always a bigger picture at work: the form and function of the new home and the new life it affords and inspires. Well aware of our reputation, clients confidently embrace our counsel and our process. In the caring, anticipatory hands of the expert, they’re guided from pre-move planning and checklists to inventories and estate sales, from moving company and other vendor selections to packing, crating, storage and stress-free moving day facilitation. With us you get a moving company that shows up on time and is organized and prepared with all of the essential tools. When you use our company, you get all of the equipment necessary. 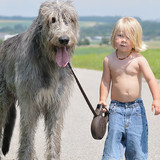 Which means we provide Free of charge Dollies, to carry your heavy furniture at ease. Free of charge –Unlimited the best moving blankets on the market to ensure your furniture is padded and protected. Free of charge-Unlimited Packing tape Free of charge Wardrobe Boxes Free of charge Tools Free of charge Disassembly & Assembly Free of charge Stairs No additional charges for extra stops Free of charge Shrink-wrap to protect your couches and love seats from any dust or dirt. And as licensed Orange County moving company we provide the basic insurance, free of charge.